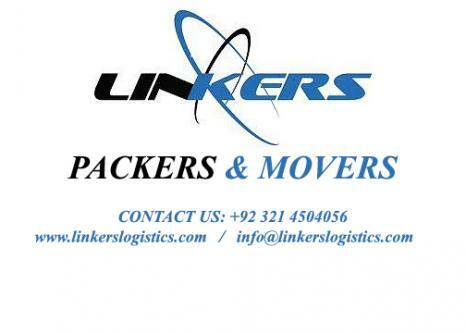 Linkers Logistics Packers & Movers is a leading international freight forwarders, packers & movers company in Pakistan. The company is established with vision and desire to become one of the leading international freight forwarders around the world. We offer a wide variety of services tailored to our customers′ needs, including packing, moving, air & ocean consolidation, FCL/LCL, trucking, customs brokerage, international courier and warehousing services. Our operation teams are well-trained and experienced working with the most efficient state-of-the-art track and trace system. Linkers Logistics, although a young medium sized firm, was founded by experienced and motivated staffs in the freight forwarding industry. The key persons have been working for many years in the international transport business. We offer packing & moving and transportation & freight forwarding services to our customers throughout the world. Through our years of experience and knowledge of the freight industry, we have acquired an excellent reputation in the import - export community. We are able to service above and beyond all of our customers’ freight forwarding needs with a core specialty of managing air, ocean and ground transportation between Asia, USA, UK, Australia, KSA, CANADA, QATAR, UAE, Afghanistan, Italy, Germany, France, Abu Dhabi, Sharjah and the rest of the world.